On view are the films Sweating Blood (1973) and Body Tracks (1974). Courtesy Galerie Lelong, New York and The Estate of Ana Mendieta Collection, LCC. Documentary short Ana Mendieta, Nature Inside (2015) by Raquel Cecilia. Courtesy the artist. Ana Mendieta (born in Havana, Cuba in 1948 and died in New York City in 1985) created, in a brief yet prolific career, groundbreaking work in photography, performance, film, drawing, sculpture, mixed media, and site-specific installations. Mendieta is a pioneer among artists dealing with identity politics and feminism. Her unique hybrid of form and documentation, works that she titled "siluetas" are fugitive and potent traces of the artist's inscription of her body in the landscape, transformed by fire, water, and natural materials. 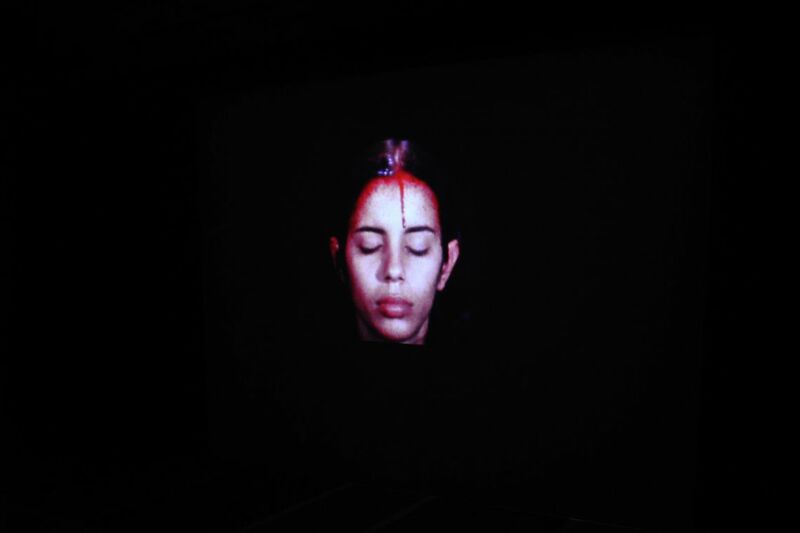 Mendieta's ritualistic super-8mm film Sweating Blood (1973). In a process of physical and material transformation, the artist’s face with closed eyes fills the frame. Over the course of three minutes, blood slowly appears along her hairline and trickles down over her face. The visceral silent film Body Tracks (1974) shows Mendieta in front of a white wall, with her back to the camera. Her arms are raised, and over the course of the one-minute film, she slowly sinks to her knees, leaving traces of blood from her arms along the wall. 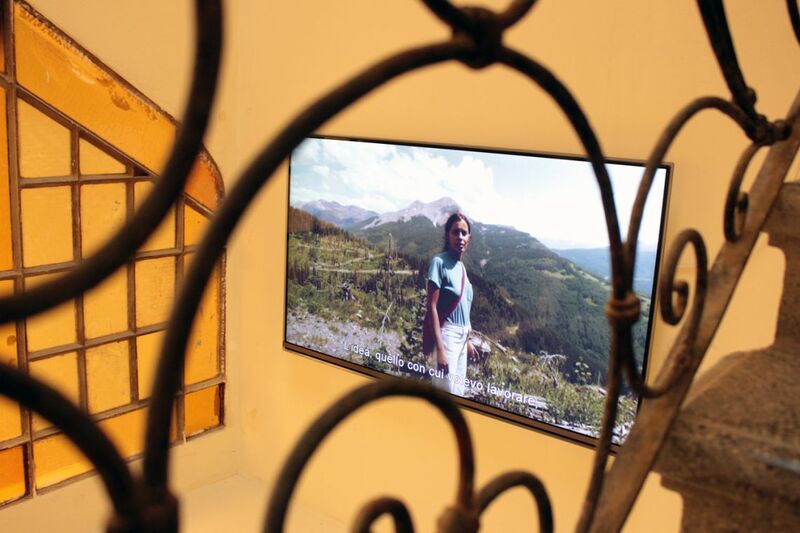 In the Study Movie Room is presented Ana Mendieta, Nature Inside (2015), the intimate documentary short by her niece Raquel Cecilia, in which Mendieta narrates as corresponding images of her work in both still and moving images highlight her themes and the meanings behind her work.